Originally from from Sylacauga, Alabama, Marvin Harvey aka The Talented Guy Enterprises has had quite the journey to finding himself an author in Indianapolis, Indiana. At 38 years old, he’s quite the entrepreneur being both an inventor (with several patents under his belt) and a writer (The Pray’n Mantis from Tate Publishing). He drove from his home in Alabama to stay with his friend’s aunt and uncle in Indianapolis. This provided the stability needed for him to find work. He worked a series of temp jobs until he found his place with a steel plant near 42nd and Post Road. In 2000, he got laid off from that job and he cried out to God. 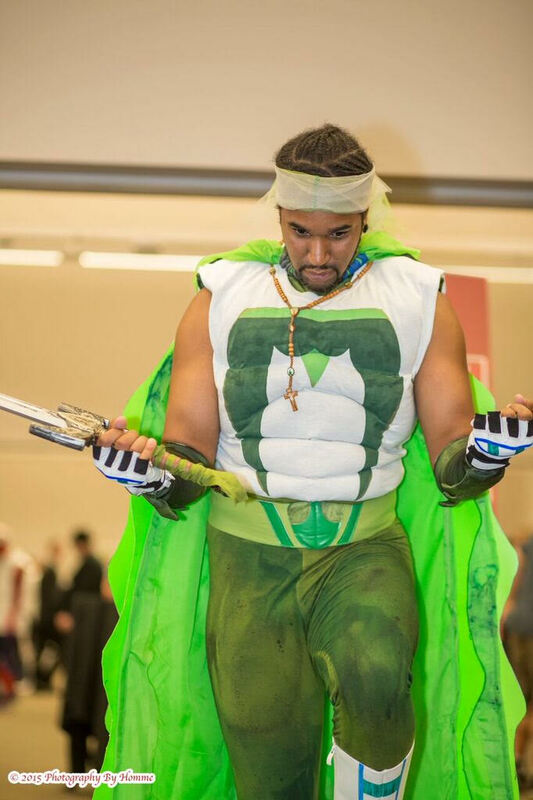 He grew up watching cartoons and wanted to create himself as a superhero. He wanted to do something different: rather than getting his powers from the world, he had God give him the powers. So he began to write. When he was growing up, he dreamed of being an entrepreneur. When he was 16 years old, he started working for other people but wanted to eventually do and create his own thing. Like everyone else, he has his struggles, but as he often says, “I’m not a quitter.” He would love to teach and mentor young artists and entrepreneurs. 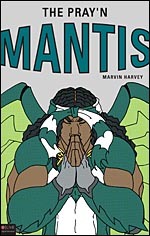 The Learning Tree: What was the inspiration for The Pray’n Mantis? Marvin Harvey: The Lord put it on my heart when I’d been laid off from my job. I decided to take a chance with a new career. I started drawing characters. I knew I wanted to do something for God, so I asked God to give me inspiration. I came up with a spiritual superhero. TLT: Was this the first thing that you’ve written? MH: Yes. Back in the day, I used to do poems. I don’t write them much anymore, since I used to write them for my girlfriends. TLT: Is the art a recent thing too? MH: Actually, I was drawing from when I was about five years old. I always drew characters from tv and then expanded as I grew. TLT: Who are some of your influences? MH: When I was a kid, it was Voltron, Spider-man, Batman, Thundercats, and they stuck with me. TLT: What is your writing process like? MH: I start with an idea, but from there, you have to mold it into something with meaning. I named each of my chapters and that became my outline for the book. TLT: What’s the journey been like for you? Has writing been harder than you thought it would be? MH: The journey’s been rough! The writing was a challenge. I originally wrote the story as a screenplay, so when I put it in the hands of my editors at Tate Publishing, they guided me in how to put things into a book form. TLT: Do you have any authors that you enjoy reading? MH: The Bible is my main book. Those writers inspired me. Back in the day, the movie The Ten Commandments really inspired me to get to know who my God really is. It also inspired me to move forward and create this sort of fantasy world as a way to tell the truth about the real world. TLT: What about the story of Moses caused it to stick with you so much? MH: When Moses was leading God’s people out of Egypt, the pharaoh was so stubborn in his heart. So even though the plagues happened, he was so stubborn that he wouldn’t let the people go. And Moses kept telling him “this is going to happen and this is going to happen,” but pharaoh hardened his heart. That tells me about the power God has, how He’s so in control. Even at that moment, pharaoh not allowing Moses to gather up his people and leave Egypt. Then the plagues came and it took the final plague of death before pharaoh could say Moses’ God is the true God. TLT: It sounds like you like stories where the stakes are really high and where good and evil are crystal clear. What does that war between good and evil look like? Why is it important that people choose sides and fight? MH: In Ephesians 6:11-13, God let’s us know that we’re not up against flesh and blood. As humans, we’re flesh and blood. We carry guns, we’re quick to anger, and we kill when God says “Thou shalt not kill,” you have to sit back and wonder what it means that we wrestle not against flesh and blood. But that’s not who we’re up against. We’re up against principalities and wickedness in high places. We’re up against this spirit of hatred. We’re up against a murderous spirit. I know that God has been dealing with me since I was young. Raising me up so that I can fight the right battle. It’s a spiritual battle. And that’s what led to me writing The Pray’n Mantis. Everything we’re dealing with today is a spiritual battle. TLT: When people read your book, what’s the one thing you want them to take away from it? MH: That God is love and we should love one another. We should stop all the violence, hatred, and killing. We need to learn how to have faith in God.